Alisher has a combined Bachelor’s and Master’s Degree in Music from Moscow State Tchaikovsky Conservatory. His background includes over 30 years of experience as a composer and educator. Alisher gained considerable skills during his tenure at the National Conservatories and Special Music Schools of four different countries. In these positions, he had demonstrated the ability to resolve a variety of issues ranging from the development of systems and methods of creative approach to the classes with the students prior to organizing international forums and festivals of contemporary music. For the past 12 years he has developed a system and method of teaching playing the violin: The “Express “ effective training Method of playing the VIOLIN: Everyone is able to do it! Alisher is also an active composer of acoustic music. His output includes orchestral works, opera, oratorio, chamber instrumental, and vocal and choral music. He has written for and received commissions from numerous professional ensembles and performers, and his compositions have been selected for national and international performances, music festivals forums and conferences in 28 different countries. Alisher is an active participant as one of 16 composers of the Silk Road Project including an initiative of international cello superstar Yo-Yo-Ma (Tanglewood 2000). 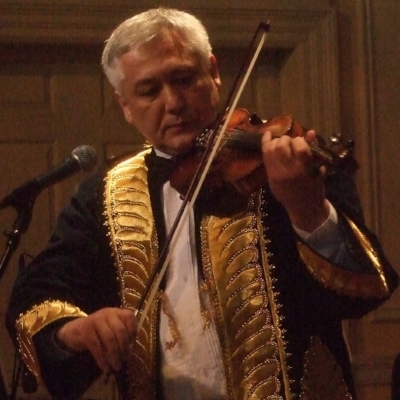 In addition to composing, Alisher has performed as a violinist and pianist in places such as the Library Congress in Washington, DC and the United Nations in New York City. Some of his compositions have been published in prestige publishing houses of the United States (G.Shirmer), (Fall House), France, Russia, Belgium, and Tajikistan. Alisher is a Member of International Royal Academy of the United Nations, the ASCAP, the American College of Musicians, The Composer’s Union of Russia, Tajikistan, Uzbekistan, and the Cathedra of Culturology of the Tajik - Slavonic University (Hon. Member). As for me the musical lesson or lecture is a creative process where there is no teacher and students, but there are senior and younger colleagues who create in common this process of creativity. For me creative growth of the student is defined not by quantity of the learnt homework, but by quality of the work and display of his creative activity in any process. I should always take into account interest of the student and direct him on his way, chosen by him: (classics stile, jazz, World, R&B or any other).